A new report suggests Labour leader Jeremy Corbyn is preparing to back a second Brexit referendum if May’s deal is defeated. However, sources close to Corbyn deny that he imminently plans to back another vote. Labour officially remains open to another vote if all other options fail. The campaign for a “People’s Vote” believe Labour’s support is key to achieving one. 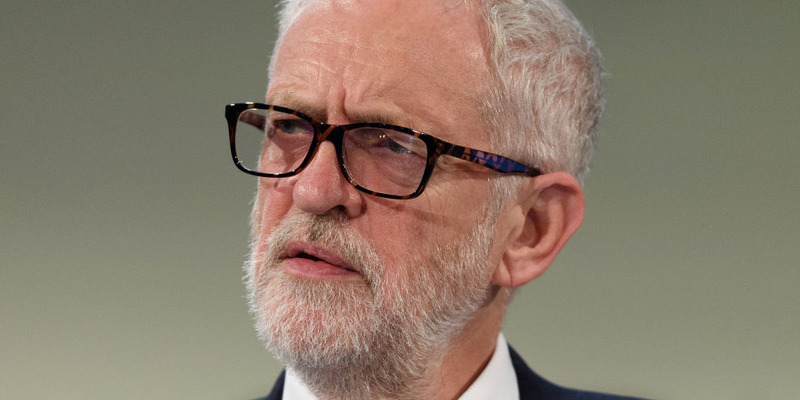 LONDON – ITV’s Robert Peston has published an interesting blog post this afternoon suggesting that Jeremy Corbyn is preparing to back a second Brexit referendum if and when Theresa May’s Brexit deal is defeated in the Commons. However, the claim has been met with incredulity by those around Corbyn who insist that the Labour leader’s priority remains seeking a general election if May’s deal falls. There are senior Labour figures, in particular deputy Labour leader Tom Watson, who would like the leadership to back a People’s Vote. But while Corbyn has publicly said that the possibility of another referendum will remain “on the table,” privately his team are a long way from being convinced that he should ever be the one leading the charge for one. These are unpredictable times, and the consensus in Parliament and the Labour leadership could eventually switch towards a People’s Vote if and when all other parliamentary and electoral processes run out of road. However, the claim that Corbyn will immediately lead the charge for a second vote, straight after May loses the vote on her deal, seems unlikely.